What is auto liability insurance and why do we have to have it? You are legally required to carry liability insurance on your auto policy. 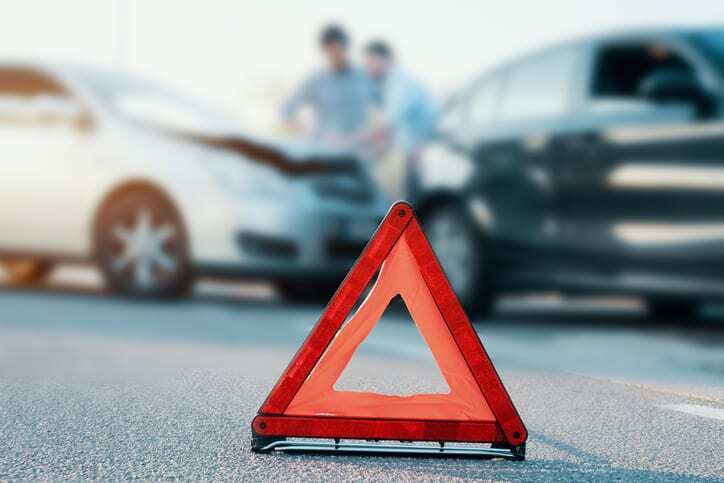 It is the limit amount of what your insurance company would pay if you are at fault in an accident and other people get hurt or their property is damaged. For example, if you have 100/300/100 liability limits, that means that your insurance company would pay out up to $100,000 per person and up to $300,000 per accident for BODILY injuries you cause to other people and it will pay out up to $100,000 for any PROPERTY damage you cause to other people’s cars, fences, buildings etc. In Indiana, the state minimum liability coverage is 25/50/25. That’s only $25,000 per person for injuries and only $25,000 in property damage. But, consider this: The whole purpose of having liability insurance is to make sure that, if you are at fault in an accident, there is enough coverage through your policy to pay the medical costs for the people who get hurt AND their property damage. Several years ago, Jenna and her husband Andy were in a minor accident. Andy wound up with a broken nose – nothing else – and went to the hospital to get it checked out. The hospital bill for just that broken nose and the following surgery was more than $25,000! So, if you cause an accident and someone winds up with a broken arm and a broken leg – or possibly something worse – the 25/50/25 liability limits most likely will not cover all of the medical expenses. Also think about the cost of vehicles. Most entry level new vehicles start at $20,0000 to $30,000. If you are in an accident you don’t get the option to avoid the expensive vehicles and only hit the older vehicles. With state minimum coverage you can easily exhaust the property damage portion too. So what happens if you don’t have enough insurance coverage? If you caused the accident, YOU are responsible for the medical expenses of the people who get hurt. If there isn’t enough coverage with your insurance, you will likely be sued and may wind up having to sell off your possessions or even have your future wages garnished for years until the damages are completely paid. Without a full paycheck, you could be putting your lifestyle and family’s financial future at risk. Liability insurance is there to take care of the “other people” but, it is really taking care of YOU too. Having enough liability insurance helps to make sure that, after an auto accident, a bad day doesn’t turn into a bad life. Wouldn’t it be better to pay a little more for adequate coverage NOW than to have a more costly situation you’re not prepared for down the road? Even if you are a safe driver, accidents DO happen! Talk to our Farmers office soon for help to determine the appropriate amount of liability insurance to protect YOU! Get ahold of Jenna Isch for a quote on insurance for everything in your life. You'll know you're in good hands with Jenna on your side.